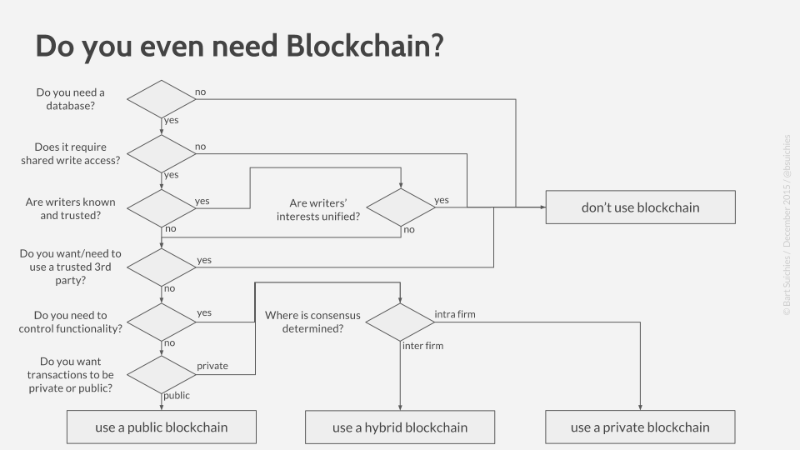 Home FinTech Blockchain When do you need blockchain? Decision models. Ok this was a joke, but I like it. 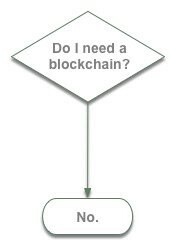 It is true that you don’t need blockchain per se, you need a solution to some problems that eventually could be a blockchain. 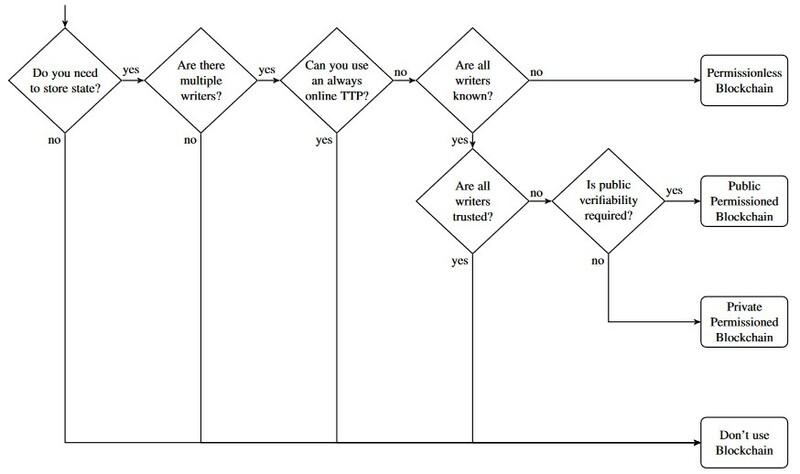 This model introduces the differences between public and private. Corda is typically an inter-firm effort building an hybrid DL platform. 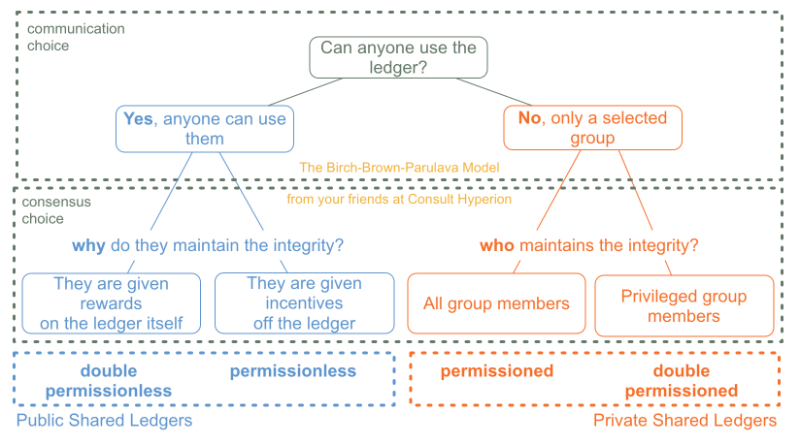 Personally I think an intra-firm blockchain doesn’t make sense — if in the past you couldn’t solve the reconciliation of the data shared across your group, it means you have larger issues (IT architecture budget systematically cut, regulatory constraints, etc. )… probably a blockchain won’t help. Now the less ‘ticks’ you have, the more trade-offs and customization you need and the less blockchain technology is relevant for your business issue. 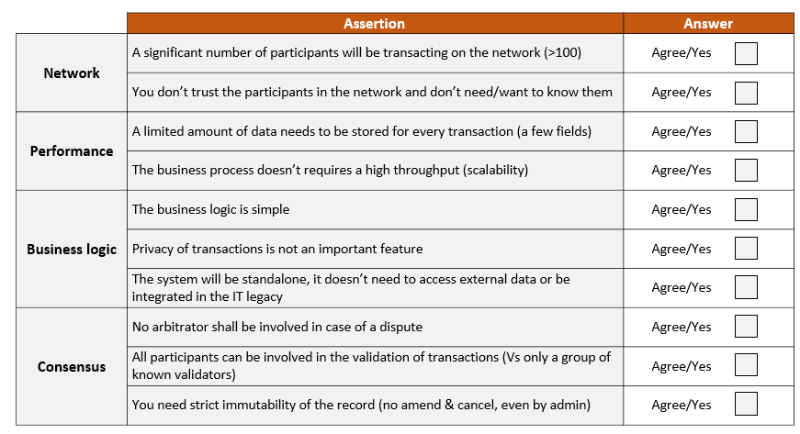 Probably below 7/10 blockchain technology doesn’t make sense — you might still try to build a shared ledger but don’t call it a blockchain.